Has Christmas sneaked up on anyone besides me? Life has been so crazy that I can’t believe Christmas is in less than a week. I’m not ready! I can’t help you with your Christmas shopping, but I can help you get ready for New Year’s Eve. 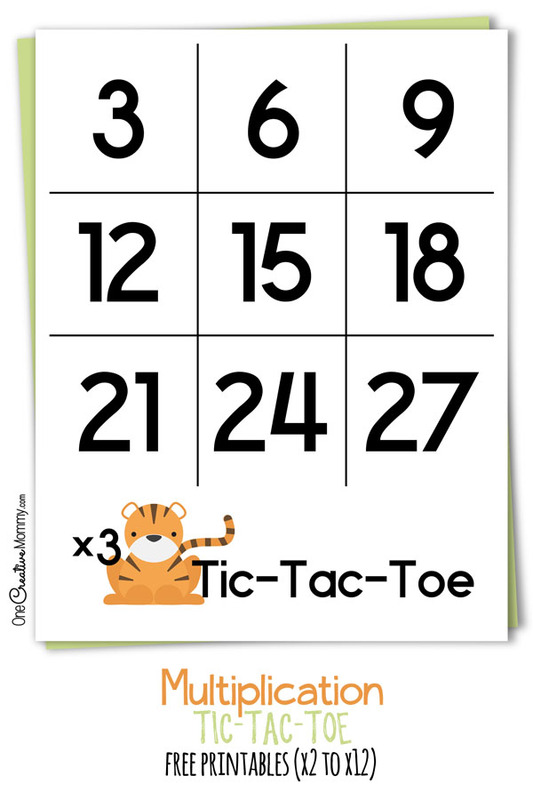 If you read my blog regularly, you know I’m a fan of Bingo. Well, it’s about time I created a New Years Eve Bingo game! 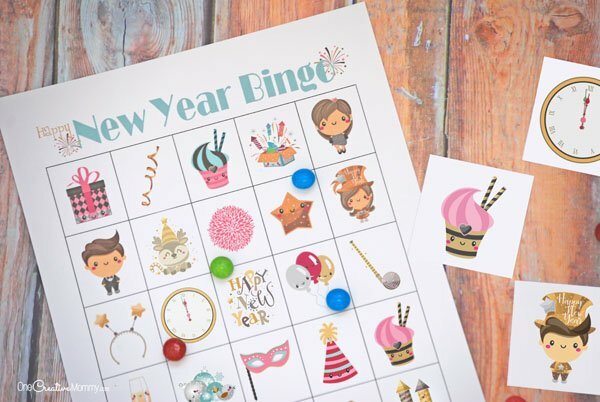 It can be really tricky to find family-friendly activities for kids on New Year’s Eve. A few years ago, I created a great collection of ideas (you should definitely check it out here), but I wanted to add one more: Bingo! What’s the best part about this game (besides the fact that it’s so darn cute)? It’s absolutely free! Just click and print. 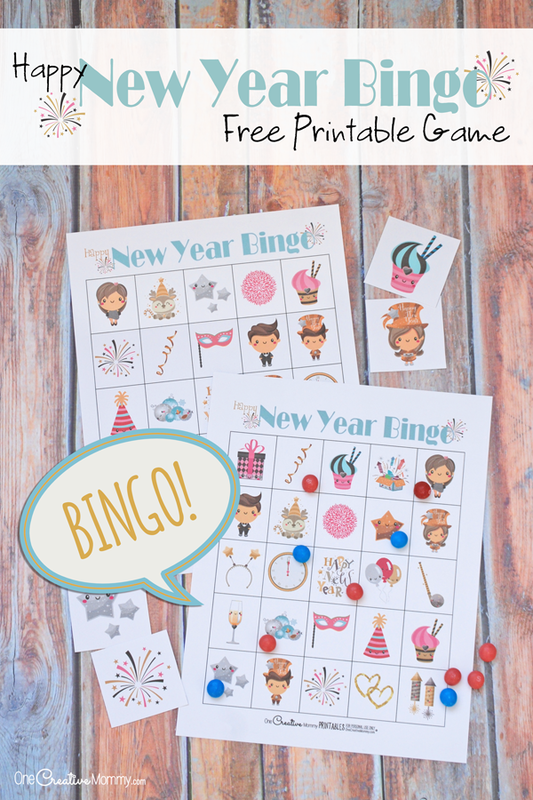 To download New Years Eve Bingo, click on the “Download Printable PDF File” image above. A new window will open containing the pdf file. Print from there or save the file to your computer to print later. 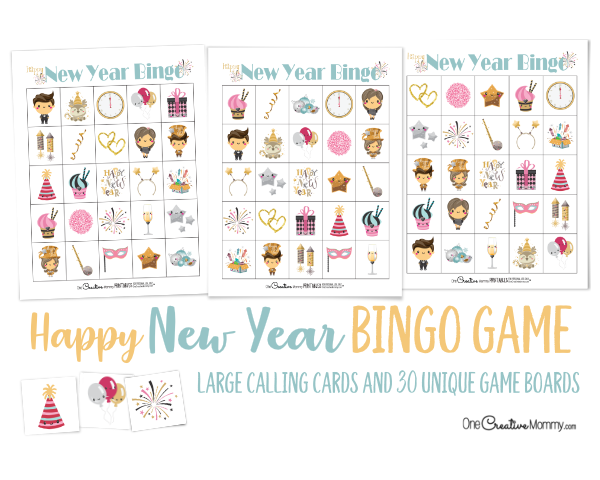 To download a set of 30 unique New Year’s Eve bingo boards, click the link below to visit my Etsy store. Special thanks to The Happy Graphics and Digicraftstudio for the adorable clipart! 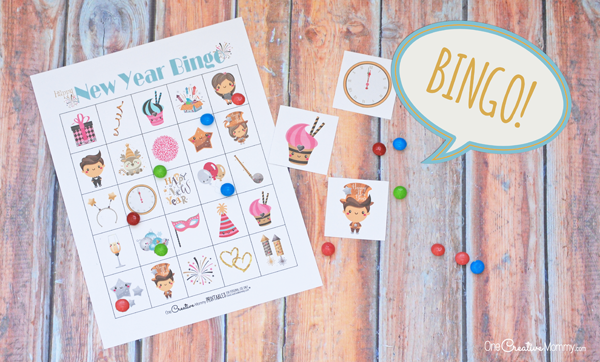 Did you know that I have a Bingo game for almost every major holiday? Check out the post below to see all of my Bingo games. Thanks for stopping by today. I hope you’ll stick around and check out more great ideas. 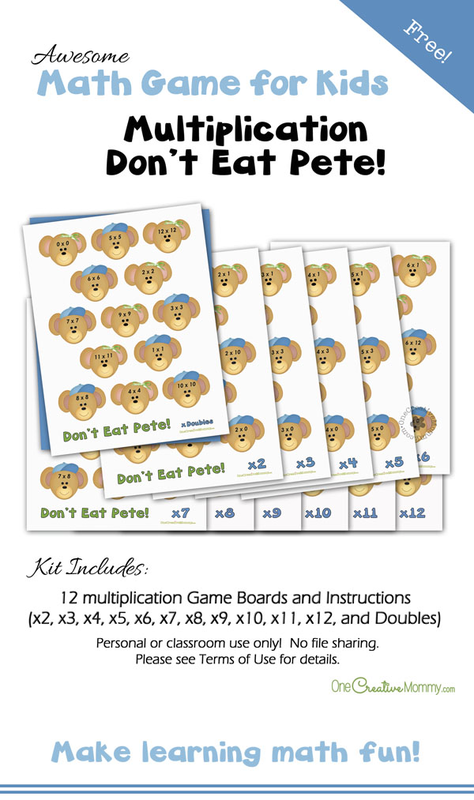 You won’t want to miss more of my printable games for kids. The images below are linked to the posts. Click on the images below to visit the posts. Is this for when you are watching TV? Or does someone call out the words? I was a little confused about when to play. Hi, Alicia. You can play it whenever you want. Staying up until midnight makes for a pretty long night for the kids. Taking a break to play a game is nice for the kiddos. This game is completely separate from the TV or anything else. It’s just something to do with the kids while you’re staying up late. This is such a great idea, love that its educative at the same time fun. 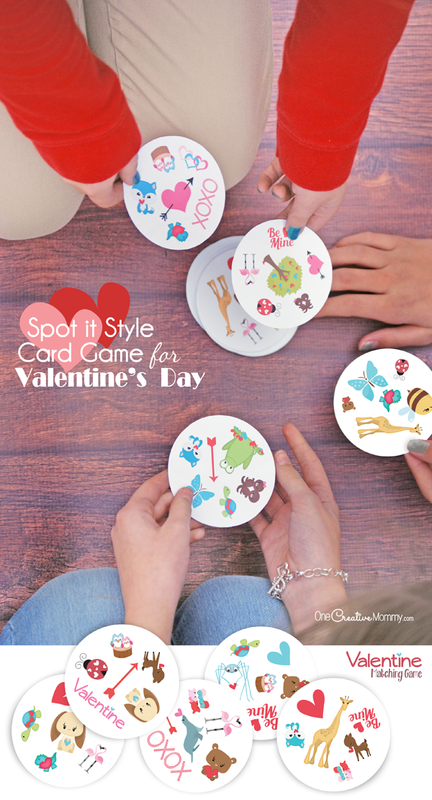 This is such a fun game for kids! We might have to play some games this year. Normally we watch movies. This is cute! We are pretty low key for New Years, and will stay home and play games with my daughter, and watch the ball drop. Christmas has totally snuck up on me! You always think you have more time. The bingo game is super cute! It’s perfect for my niece and nephew. Thanks. I have been looking for some fun ideas for the kids to do on New Years. I will have to add this to the list. I am sure it will be a big hit. This bingo is so cute. This is such a fun idea. Thanks for sharing. Hey this is awesome! Bingo is really my childhood game and even though I haven’t played it much these recent years, reading your post inspires me to! Thanks a lot for sharing! This is a really cool idea! We do not stay up late for new year’s eve but we do have a get together party the next day. This will be a great game! 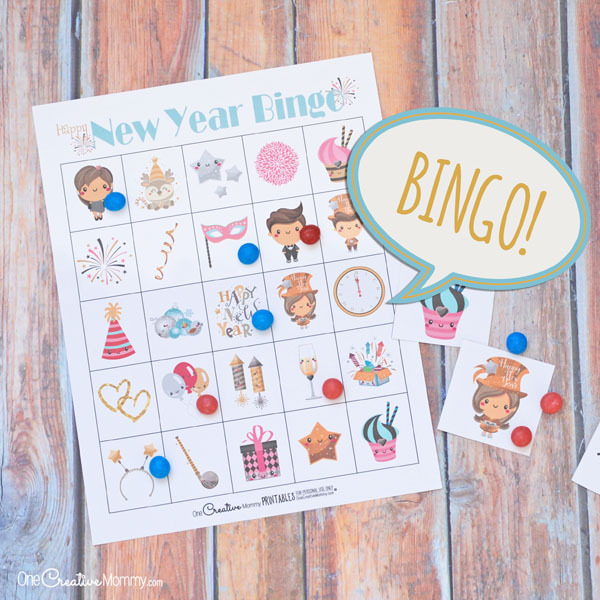 The New Years Eve Bingo Game for Kids seems fun and cute! I should buy this for my nephew and niece. its really great stuff here. I wanna try this for my lovely daughter. She will definitely try this. These games are so cleaver. They are not only cute but look as though they would be fund to play. Nice to play…my kids love it so much! Nice One it is Awesome For Kids.Good Gift For Kids.Thanks For Sharing.